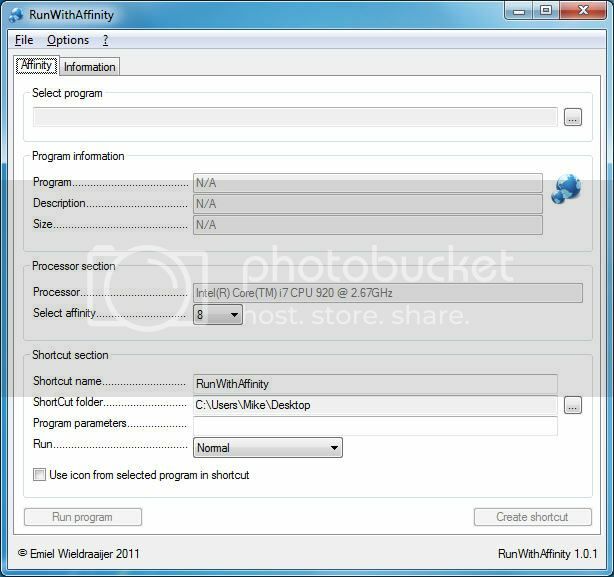 I came across a software- RunWithAffinity that actually makes a program to run on a single core. Now you might be wondering why would anyone do this. Well, the answer is simple. If a program is assigned to run on a single core then it will run slow but this also means that the other cores are idol. The program won’t use all your system’s CPU time. This will help to manage background and foreground processes with ease. So, in short it uses the disadvantage as an advantage. For instance, if you have a large number of background processes that are running on your system, then you could allocate them to run on a single core, say Core 1. The other cores will remain free to run more important foreground applications. This software is also helpful if you aren’t able to start some old game as it cannot make use of all cores then you can use this software to force the game to run on a single core.